Through North Ossetia pass tens tourist and excursion routes and tracks, on which many thousand unruly tourists from the different ends of our country and because of a boundary annually travel. Them involve both perfect nature and surprising monuments of olden time. 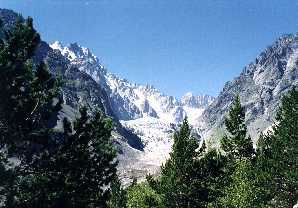 The special interest at all is caused with a pearl of Caucasus - Tsey gorge. Here all is unique and it is perfect: an ancient pine wood, loud and prompt flows, foamy waterfalls, mighty snow tops, dazzling glaciers and bright Alpine flowers. Tsey as the national resort is known from old times. The curative properties of Tsey the people attributed to various magic forces, which the nature of gorge is ostensibly allocated. 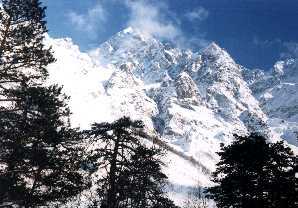 Actually "wizard" here is transparent curative air of mountain edge, clean, ice cold water from glaciers and special duration day, as because of east direction of gorge the sun here early ascends and late hides the salutary beams. 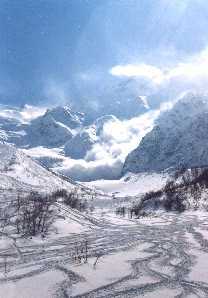 From here on rope road can rise on magnificent Skazskiy glacier. Here excellent route for the skiers. The annual quantity of a sundial in Tsey is much more, than even in glorified Swiss Davos.